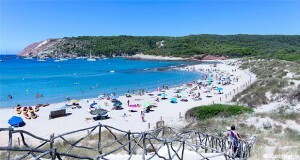 Cala en Porter is located on the south-east coast of Menorca, approx. 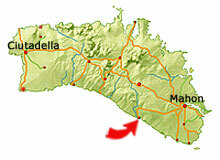 10 km south-east of the capital, Mahon. 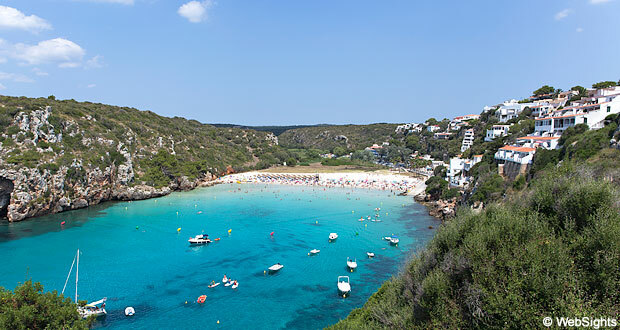 Cala en Porter has a fantastic beach, which is beautifully situated in a deep rocky bay. The beach is relatively large and covered with bright, fine-grained sand. The crystal clear water is very shallow and well protected against waves. 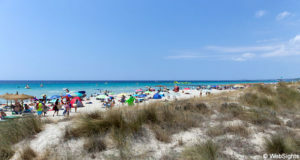 The facilities at the beach include sun lounges, sunshades and toilets. There is a big free parking space close to the beach. 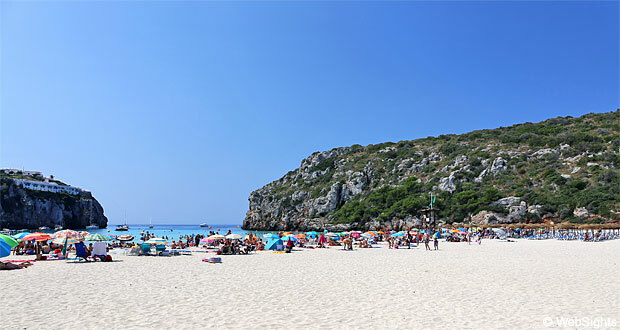 The beach in Cala en Porter is very child-friendly. The sand is good to play in and the water is extremely shallow. In the back of the beach, there are football goals, a beach volleyball course and a small playground. You can rent water bikes at the beach and it is lovely to ‘bike around’ in the beautiful rocky bay. It is also possible to rent sea kayaks. There are some restaurants, bars and tourist shops by the beach. Here it is also possible to buy refreshments, sandwiches etc. to bring to the beach. 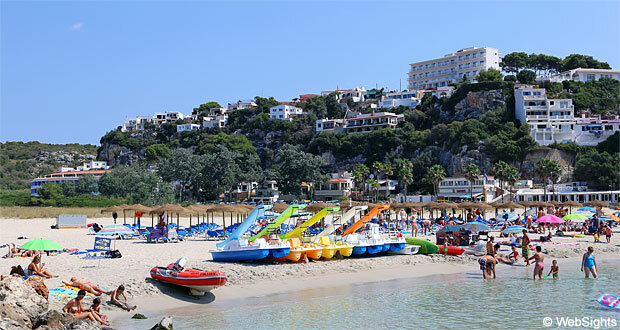 Cala en Porter is a good-size town for those who wish to have a quiet and peaceful holiday, but also require a reasonable selection of restaurants and shops. There are a few hotels, but otherwise most of the town consists of holiday apartments.